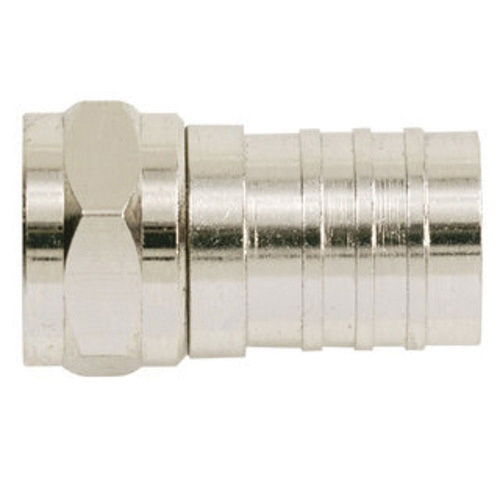 Ideal Industries Plug coaxial connector features brass construction with nickel-plated finish for effective corrosion resistance. This F-type connector fits RG-6 quad shield plenum/non-plenum cable through straight connection with 75-ohm impedance. It supports crimp-on installation. It is perfect for CatV and other UHF applications.